Do include a salutation. Starting an e-mail with: “Hi Paul” or “Hello Paul” is friendly and provides an adequate introduction. You can also start with “Dear Paul”, if you don’t know the person and would like to be a little more formal. Do carefully proofread your e-mail. Spelling and grammar errors undermine your professional image. Be sure to spell check and proofread all e-mails. Do include a subject. 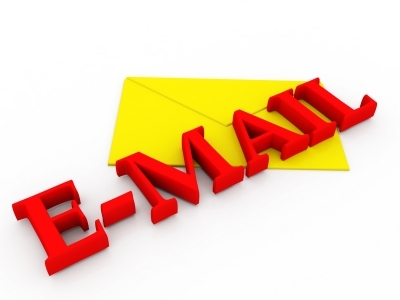 Provide a subject that is descriptive enough to give the recipient an idea of the topic of your e-mail. This helps when they are scanning e-mails, and it makes it easier for them to find your e-mail later. Don’t send long, disorganized e-mails. Keep your e-mails direct and to the point. Nobody has time to read long, drawn-out e-mails. Don’t cover too many topics in one e-mail. As much as possible, keep it to one e-mail for one topic. Of course there are exceptions to this rule, but when e-mails are kept to one topic, it makes it easier to respond to them and to archive them. Don’t overuse caps. Most people interpret caps in e-mails as yelling. Only use capital letters when it is grammatically necessary. Do sign off properly. End your e-mails with “yours truly, sincerely, thanks” or something similar and your name. If you don’t sign off properly, the recipient may think that they didn’t get the full e-mail. Do use CC’s and BCC’s appropriately. CC’s and BCC’s are useful to keep people in the loop and to contact several people at the same time. However, people sometimes use CC’s and BCC’s to escalate a situation to the management level. This approach is not collaborative and it is likely to cause conflict with your co-workers. If you do need to bring a situation to your manager’s attention, it is better to do so in person. Don’t send e-mails that could make people upset. When communicating by e-mail, there is an increased risk of misunderstanding. Therefore, if your e-mail could potentially cause an emotional response, it is better to address the issue in person. Do double check your attachments before you send the e-mail. Demonstrate that you are detail-oriented by never forgetting an attachment. Don’t forward everything that you receive. Everybody gets too many e-mails. Before you forward an e-mail, ask yourself if it will be worth your co-workers’ time. If you often send irrelevant e-mails, your co-workers will start to think of your e-mails as junk mail. Don’t e-mail anything that you wouldn’t be comfortable with your manager reading. Since e-mail is so easy to forward, you should write all of your e-mails as if you expect them to be forwarded to your manager. Do acknowledge e-mails, even if you can’t take action on them right away. If you can’t immediately complete the request, your co-workers will appreciate it if you have the courtesy to let them know that you did receive their message. Do remember your manners. Be polite. It can be easy to forget your manners when you are sitting in front of a computer, but remember that a real person will be receiving your e-mail. Previous Article Why are You Stressed at Work?